For Christmas I finally got the much heard of Liz Earle Cleanse and Polish. It’s something I’d had on my wishlist for a while but being a student, I tend to stick to the cheapest skincare possible! After all the raving on blogs in the last few years I had seen on this, I knew I had to try it!! At first the scent of this put me off. In the past year I’ve stripped back my skincare and used really basic products that have very little scent to them. I don’t know what it is, but I hate using products that smell strong, I like it to feel natural. This has a scent of ecualyptus, which I know does wonders for your skin, and the scent does fade quickly so it was an issue I got over pretty quickly! Despite this, I’ve actually really loved using it! 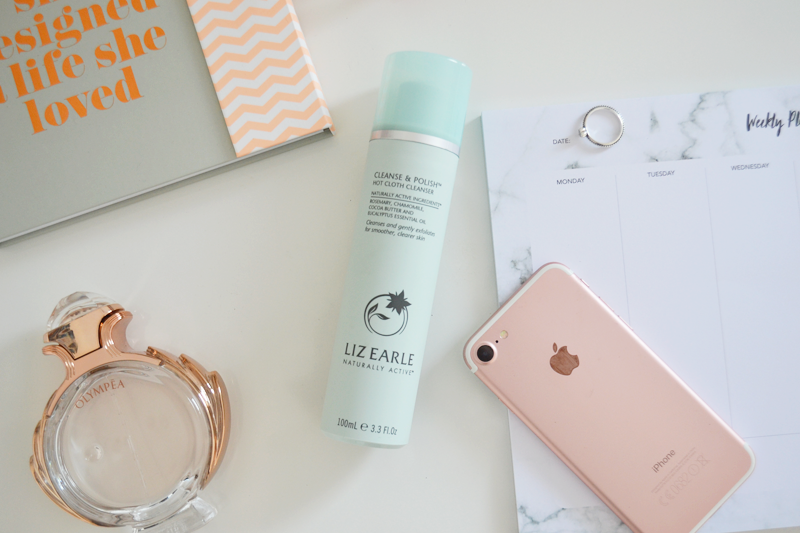 I’ve used it in the morning and at night to take my makeup off and it’s left my skin feeling really fresh and clean! I was actually surprised at how well it removed my makeup at the end of the day! I feel like it’s a bit too early to comment on it’s full effect on my skin, but so far, so good! I don’t seem to have had any major breakouts for a while now (touch wood). I’m really looking forward to continuing to use this to see how it’s working for me a few months down the line! Do you use Cleanse and Polish? What do you think of it?